Hemp Hearts - A Natural Source For Optimal Nutrition! Hemp Hearts are hulled hemp seeds which is a trademark name that was started by The Healing Source company. It is often referred to much like jello versus gelatin. It is a word that has become very popular and it seems everyone refers to hemp seeds as hemp hearts. Essential fatty acids, or in short form EFA's are fats that your body cannot produce on it's own, yet are critical for optimum health. The buzz today is all about saturated fats, animal fats, and hydrogenated oils and how when consumed in high quantities cause an array of problems such as obesity, elevated cholesterol and cardiovascular disease. EFA's on the other hand are good fats. There are two types of EFA's. The first is linoleic acid (LA)or better known as omega-6 and the second is linolenic acid (LNA) or omega-3. These fatty acids when consumed in the right proportion, helps the energy taken from food and distributes it to every cell in your body in an efficient and healthy manner. 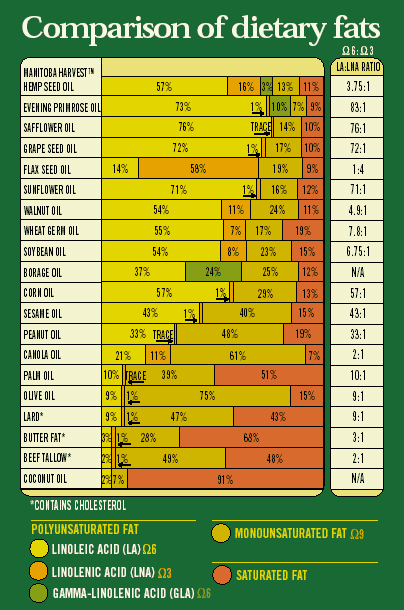 The ideal ratio of omega-6 to omega-3 is about 4:1, the exact balance you find in hemp seeds. Another important component in hemp hearts you may not know about, is that they contain phytosterals (plant sterols) . This sterol has been proven to lower cholesterol levels by as much as 13%. It is important to note however, that eventhough EFA's provideyour body with essential nutrients, a reduction of bad fats is still vital to your health. Following a sensible regime and adding the necessary fatty acids to your diet will no doubt improve any ill condition that is plaguing you, if not heal them altogether. In fact, according to the U.S. drug and food administration, EFA's may reduce coronary disease. 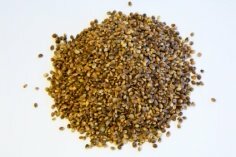 Another component of hemp seeds that humans cannot produce are essential amino acids.These amino acids construct 7 classes of simple proteins. One of these proteins is globulin edistin (easily digestable) which works with your body to create antibodies, promoting a strong immune system. They also contain 65% globulin, the highest percentage in any plant. There is also an abundance of vitamins and minerals like carotene, vitamin C, vitamin E, vitamin B1, vitamin B2, vitamin B3, vitamin B6, calcium, potassium, magnesium, and iron. This high level of nutrition make hemp hearts a prime candidate for cooking and baking. Better yet, eating them raw by the spoonful everyday will ensure no loss of nutrients which usually occurs as a result of any type of heat application. For a great selection of hemp seed nut recipes New Recipes Added All The Time!